Proactively managed by our experienced investment team. We'll regularly make strategic adjustments to try and protect against losses and boost returns. 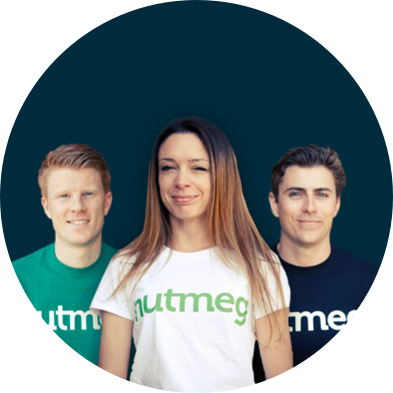 Nutmeg fully managed portfolios is a high-end investing service delivered online. 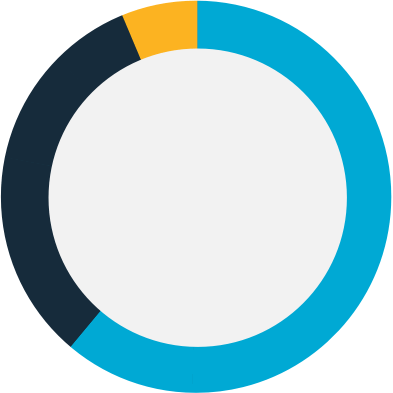 Then we adapt your portfolio over time to an ever-changing world, keeping you informed along the way. We're always on top of it, so you don't have to be. Leading up to the Scottish Referendum vote, our team reduced exposure to UK markets in order to protect portfolios from possible market turbulence. Leading up to the Brexit vote, our team removed all holdings in UK small companies and increased holdings of long-term government bonds and gold, protecting portfolios from the consequences of a 'Leave' vote without damaging future return prospects. Source: For fees and minimums, FTMoney Guide Private Client Wealth Management, June 2017. We're proud to have a full 6 year investment track record. We believe in transparency, through the ups and downs of the market, so you can explore for yourself the returns for each of our 10 risk-based fully managed portfolios below. You can also see how our results compare against an index of our competitors for each of those risk levels. 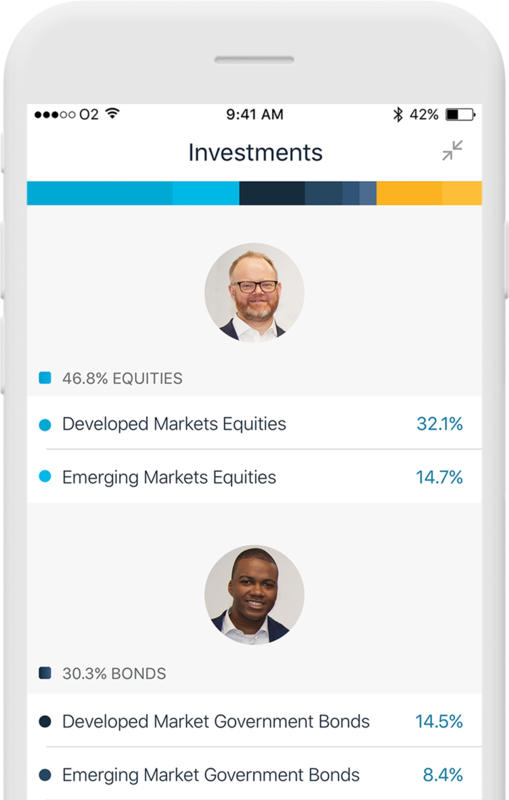 This past performance is simulated, based on real market transactions implemented across all individual customer portfolios to a single portfolio for each risk level. Nutmeg monthly returns shown in green. Nutmeg daily returns, shown in grey, to show the relative volatility of the portfolios. Competitor monthly returns for portfolios 3-10 shown in yellow. *The annualised figure is the return since inception expressed as a compound annual rate. For example, a portfolio with an annualised return of 6% corresponds to an actual return of 19.1% over three years (rather than 18% as you might expect) due to the effect of compounding. This data is based on monthly results published by Asset Risk Consultants (ARC). ARC compute the average returns from discretionary investment managers based on risk profile, after fees. These include results from firms such as Barclays Wealth & Investment Management, Coutts & Co, JP Morgan Private Bank, UBS, Rathbones, Rothschild Wealth Management, and others. For example, the Sterling Balanced Asset Private Client Index (PCI) is a group of portfolios managed with equity risk aimed at between 40%-60% of volatility of global stock markets. For Nutmeg risk levels 3-4 the Sterling Cautious index (0-40% Equity Risk) is used, for 5-6 the Sterling Balanced Asset index (40%-60% Equity Risk), for 7-8 the Sterling Steady Growth index (60%-80% Equity Risk), and for 9-10 the Sterling Equity Risk Index (80%-120% Equity Risk). ARC do not provide data for portfolios equivalent to Nutmeg risk levels 1–2. Source data: Macrobond AB. We update this data shortly after each calendar quarter. How are Nutmeg's returns calculated? What are the competitor returns? Recommendations and advice tailored to you, designed by the same expert advisers who deliver it.